Anand Vihar-Gorakhpur Humsafar Express will be tri-weekly. In all, 10 Hamsafar Express will be in function from December.. There will be 18 or 21 coaches and all the coaches will be exclusively AC three-tiered. Anand Vihar from Gorakhpur train number and train number 12595 will be 12596. The first train from Gorakhpur Anand Vihar will complete the journey in just 11 hours. Humsafar Express will be a complete 3AC train, with optional catering service. The rake that has been flagged off has 3AC coaches and 2 generator cars at each end. All the coaches are stainless steel LHB coaches, which are capable of running at 160 km/hr. 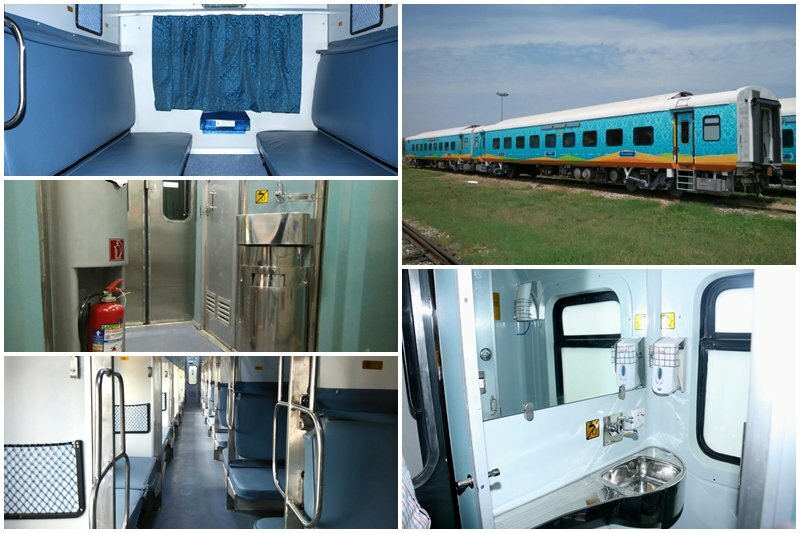 To be rolled out in October, Humsafar Express has been envisioned as a fully air-conditioned 3-tier service. It is one of the three trains that were announced for reserved passengers. The production of the train is in its final stages of manufacturing and will be on a roll within a month. Apart from being fully-functional, Humsafar would come with a choice of optional lunch. The train is also expected to come with several advanced features that are otherwise not available on regular trains. Features like TV, GPS-based passenger information systems and fire and smoke detectors will be installed all across the train. There will be seats with padding and comfortable side handles with suppression systems. Mobile and laptop charging points will be installed everywhere along with CCTVs. The train will also have integrated Braille displays and the coaches will also have bio-toilets. Humsafar Express will be a complete 3AC train, with optional catering service. The rake that has been flagged off has 19 3AC coaches and 2 generator cars at each end. 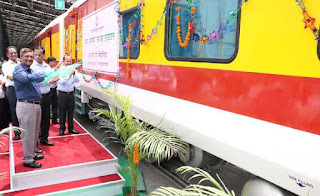 All the coaches are stainless steel LHB coaches, which are capable of running at 160 km/hr. 3. Braille signage in each coach.